2015 Goal – Design and Publish Patterns. 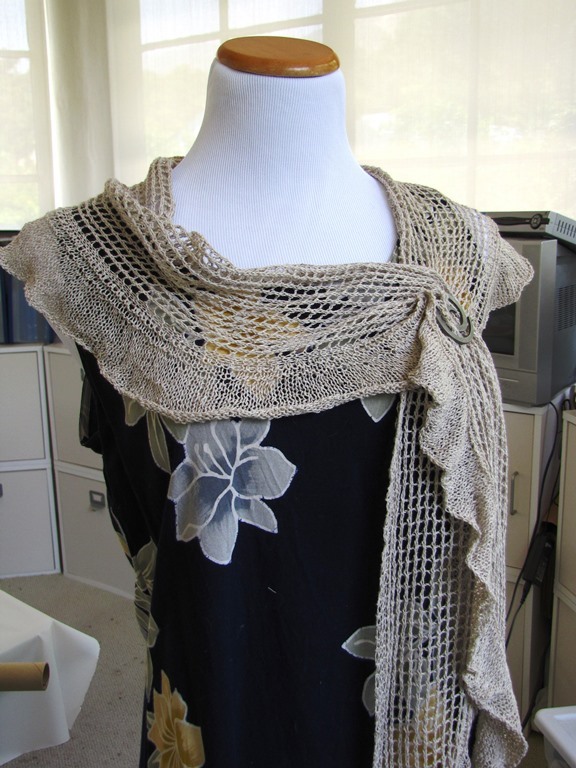 The first projects I designed, Cable Me Cozy and Springtime Loop, were created for my beginning cable and beginning lace classes. Although I have no fashion experience, I found that I really liked designing – it was fun and creative. 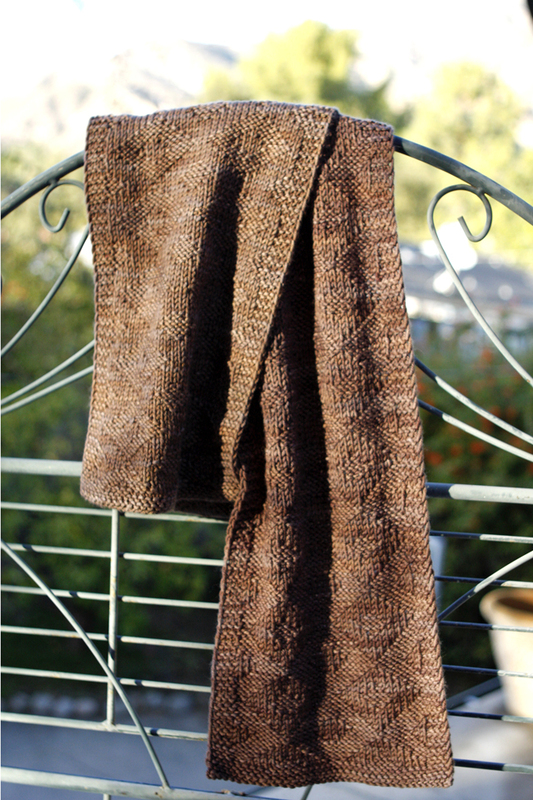 While Lace will most likely always be my favorite design element, I knew when I saw this rich brown Pecan color way, the yarn was destined to be a textured scarf created from knit and purl stitches. 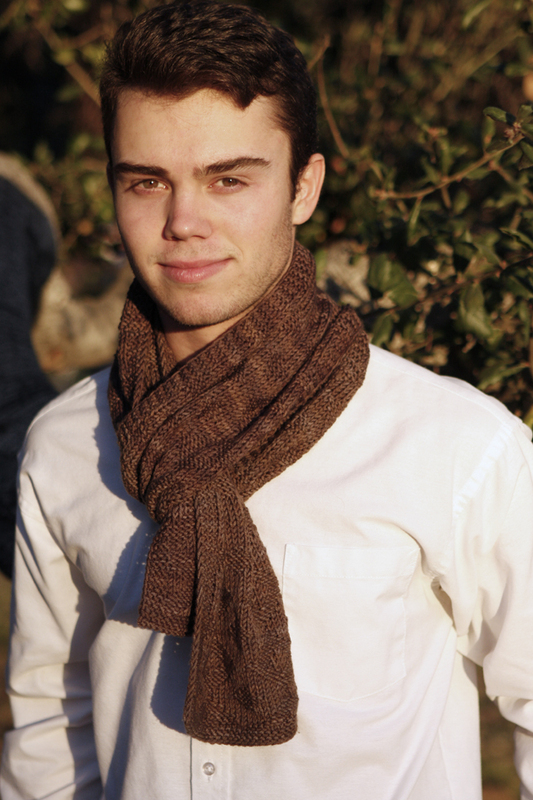 In January, I published Diamond Eyes which is a classic scarf pattern using only knits and purls. 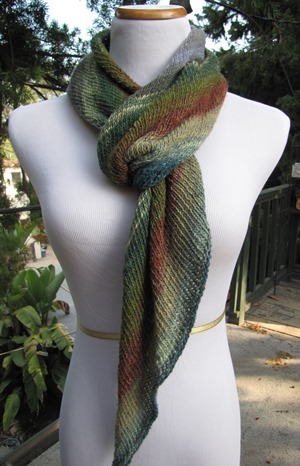 The pattern includes both a written and charted instructions. 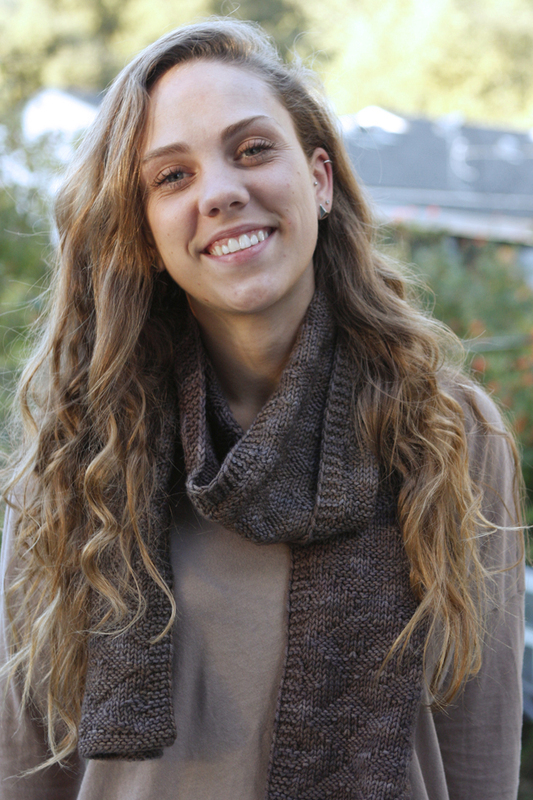 I designed this scarf using Baah Shasta, a worsted weight super wash merino; the colors of this hand dyed yarn are deep and rich. I will publish other designs soon, two of which use Baah Shasta. My local yarn store Abuelita’s Knitting and Needlework carries this but if you are not local, you may be able to find Baah on line. The pattern is available for sale in my Ravelry store. This entry was posted in knitting, pattern writing, technique and tagged abuelita's knitting and needlepoint, baah, design, finished object, knitting, pattern, ravelry. Bookmark the permalink. yes, it is beautiful, the color especially the design it looks like bothe men and woman can wear this beauty.